Vaccinations are necessary to protect our pets from potentially harmful (and sometimes deadly) diseases. We will be happy to discuss the benefits of protecting your pet with vaccinations, as well as provide you with information on the required vaccinations for your pet. There are many different vaccinations, so it is important to discuss your pet’s lifestyle with our staff and your veterinarian. Not every pet needs to be vaccinated against every disease. Puppies and kittens are usually protected from infectious disease by their mother’s milk, provided she has been adequately vaccinated. However this protection only lasts for a short while. Puppies and kittens should be vaccinated starting at 8 weeks of age. 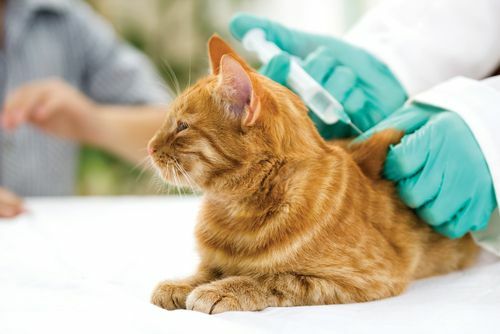 If you have an older pet, or if you have any questions, we will be happy to answer any questions and advise you on the best vaccination protocol to follow. Here at VETS Toronto, we tailor our vaccines to the pet and owner’s lifestyle.